A Toronto native, Mel Bradshaw holds degrees in philosophy from Oxford and U of T, where he was film editor of The Varsity. He has taught English in Canada and Southeast Asia and has published crime novels set in three different eras. Victim Impact features biker gangs and courtroom drama in the twenty-first century Golden Horseshoe. Victorian Canada provides the setting for Death in the Age of Steam, which was shortlisted for an Arthur Ellis Award and won ForeWord Magazine’s 2004 Book of the Year Award in the Mystery category. Quarrel with the Foe, Fire on the Runway, and his latest mystery Winner’s Loss bring to life Toronto in the Roaring Twenties. All three feature police detective Paul Shenstone. 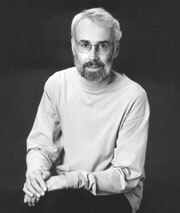 Bradshaw has also published short fiction and non-fiction in a variety of Canadian periodicals.